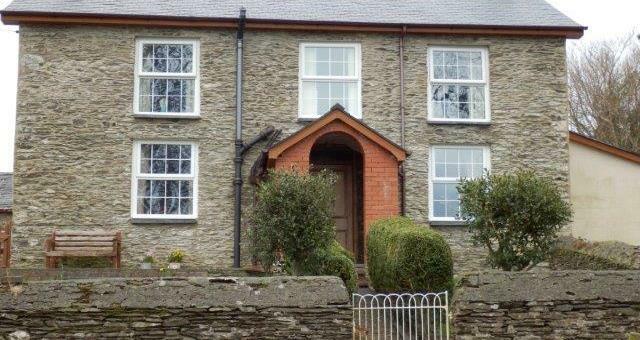 Hendreron & Llwyn-y-Gronfa01654 702033work Self-cateringA charming 18th century renovated miner's cottage nestling in the hills of the Dyfi Valley, Machynlleth with amazing views over the surrounding countryside. Part of an organic farm, it offers peace and tranquillity with lovely walks from the cottage. Near to the sandy beaches of Aberdyfi and the mountains of Snowdonia as well as the many varied local attractions. The cottage which sleeps 6 people, has three bedrooms - a double,a twin and one with full-size bunks. There is a downstairs bathroom with bath/shower and an upstairs toilet and washbasin. The carefully renovated cottage has a wealth of its original character retained. All the oak beams and pine doors are in place as well as the original bread oven. The large family sitting-room, which is attractively furnished has an open fire in the inglenook. There is Sky TV, video and DVD player and a CD/radio. The all electric kitchen/diner includes a full size cooker, microwave, fridge/freezer and dishwasher as well as an excellent selection of the usual crockery and household washer/drier is provided in the laundry room. A charming 18th century renovated miner's cottage nestling in the hills of the Dyfi Valley, Machynlleth with amazing views over the surrounding countryside. 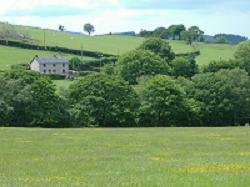 Part of an organic farm, it offers peace and tranquillity with lovely walks from the cottage. Near to the sandy beaches of Aberdyfi and the mountains of Snowdonia as well as the many varied local attractions.